It was great to see so many new and familiar faces at the gala day on Monday. We would like to welcome and congratulate Niki Guy and Maree Harbidge as the new Saturday morning junior coordinators. They will be at the courts each week running the junior competitions. The committee have taken care to ensure teams are even in strength and playing positions. meet their teams, coaches and warm up. Uniforms are black skirts/shorts and white shirts. See you all Saturday. For any enquires contact Niki Guy 0405 160 830. • Division 1 9:30am: Court 1 Tigers v Panthers; Court 3 Pumas v Wildcats. • Go Division 10:30am: Court 1 Tigers v Wildcats; Court 3 Panthers v Pumas. • Set Division 9:30am: Court 4. • Net Division 10am: Court 8. 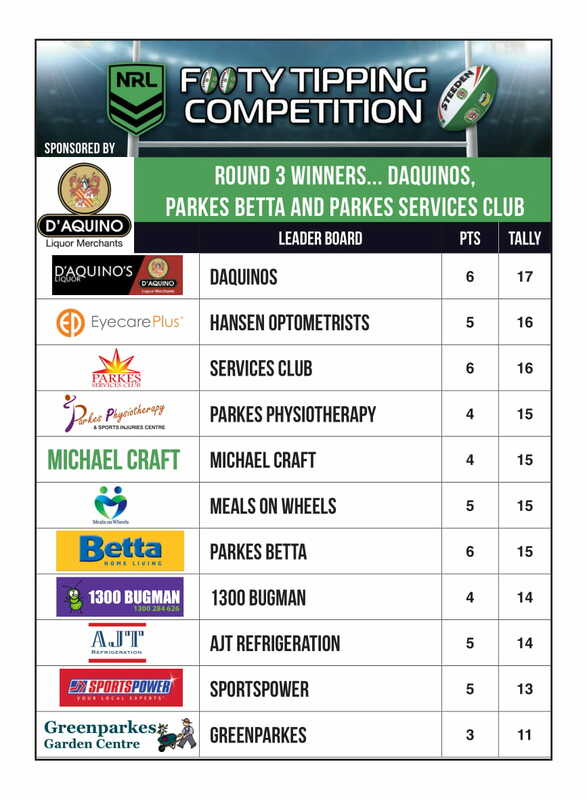 The Parkes Dragon Boat Club (PDBC) made the most of the regatta season travelling all over the state to broaden its experience. 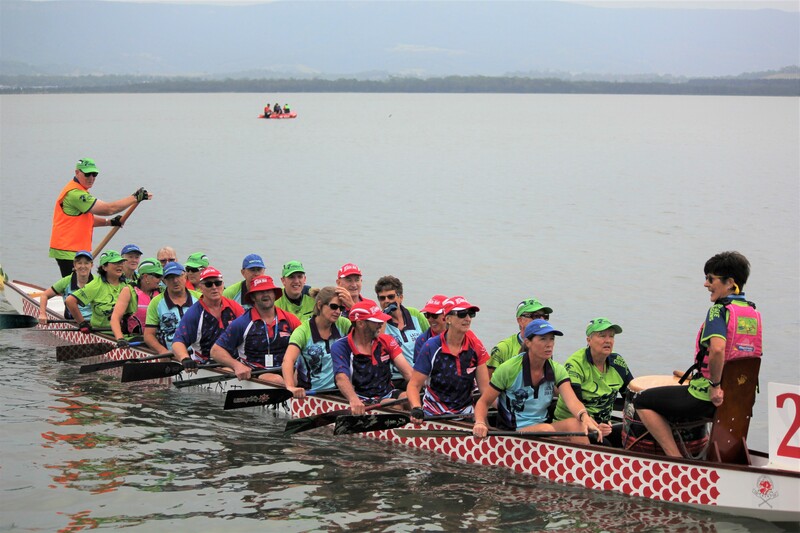 After the women’s team won a silver medal in Jindabyne in February, 11 team members travelled to the South Coast in March for its first participation in the Shellharbour Regatta. Parkes combined with Forbes and Wagga Wagga to compete as two Waratahs teams with nine other sports teams. It was a great day with one of the Waratahs teams making it into the finals. This weekend some PDBC members will be camping out at Dunn’s Swamp with other western region teams for some fun dragon boating. The regatta season’s grand finale is the National Australian Championships held in Canberra over the Easter weekend with five PDBC members included in the NSW Western team: Linda Snyman, Donna and Warren Edwards, Maggi Barnard and Rochelle Smith. Looking to next season, Bill and Beth Thomas of PDBC are helping to plan the Western Region Dragon Boat Regatta on Sunday, 3rd November at Cudgegong Waters Park, Windamere Dam, Mudgee. Parkes Dragon Boat Club President, Bill Thomas said the event would see eight western region dragon boat teams and visiting teams from Sydney converge on Windamere Dam for the event. “Mark the date in your calendars. It is one of the significant regattas for the year,” Bill said. If you’re interested in having a go at dragon boating call Bill or Beth on 0418 253 045 or Warren on 0417 240 230. Forbes proved too good for the Parkes Pennants team winning with a final score of 25 to 50. Next up is Canowindra on Thursday to decide the winner of the No 4 Pennants. 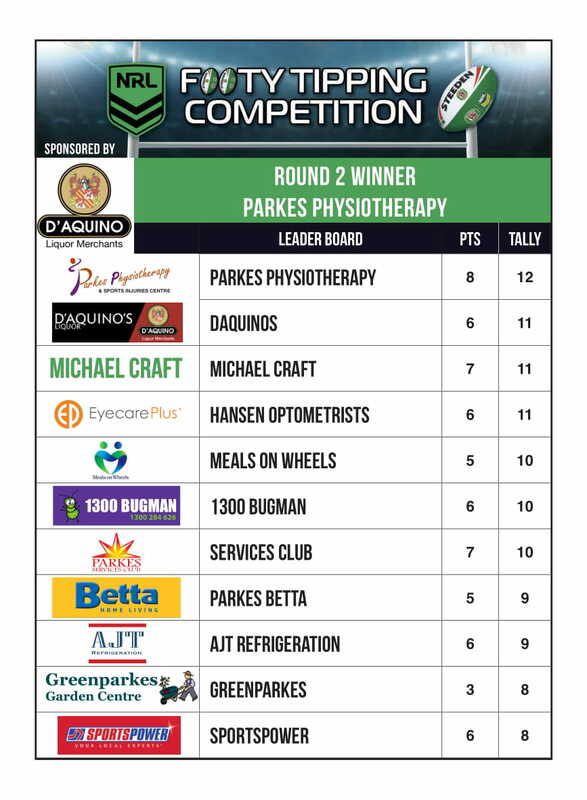 Parkes needs to win both rinks. The Pennants teams of the Parkes Bowling Club are on a winning streak with a win against Forbes last week and another win and draw against Canowindra resulting in a score of 43 to 29. Well done to the players! The teams have a bye on 28th March and then play home games against Forbes and Canowindra next week. This week members enjoyed playing pairs games. • Hilda McPherson, Heather Harvey defeated Maureen Miller, Joan Simpson. • Lee Orr, Maureen Baillee defeated Chris Curteis, Rosemary Mitchell. • Chris Cox, Valmai Westcott defeated Di Howell, Frances Charlton. The first round of Club Pairs commences on 9th April with Chris Curteis, Elaine Miller vs Gwenda Carty, Cherie Frame. The Easter Trading Table is fast approaching on 16th April and all members are requested to bring Easter eggs or chocolates for the raffles. To play social bowls please ring Table Selectors Brenda Davies and Di Howell on 6862 1446. Social roster Wendy Hendry. All new members and visitors welcome to play. 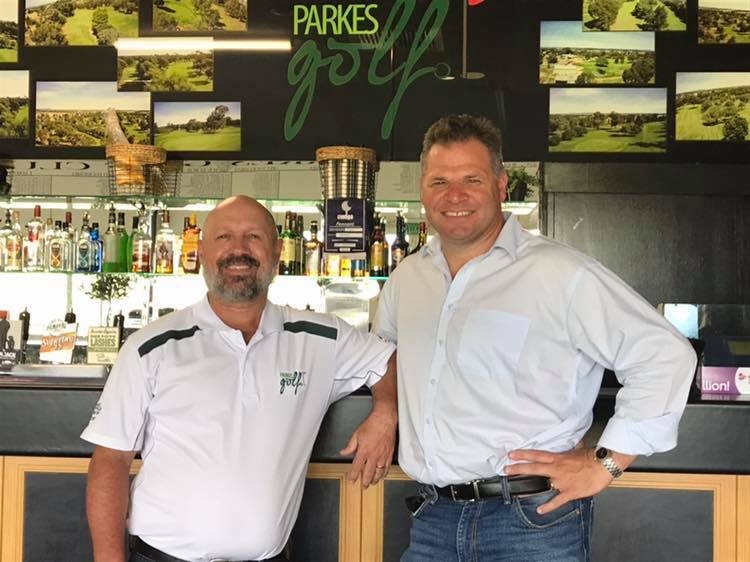 Parkes Golf Club was successful in its application for funding through the 2018 Community Building Partnership Program. Member for Orange, Phil Donato MP, recently announced the club received $15,285 to enable them to replace the existing air conditioning and heating. Phil said he was happy to support the application for funding and commended the club in taking the initiative to apply for the funds. The Parkes Golf Club is rated as one of the finest clubs in the region with the next big event the Westlime and Rotary Charity Golf Day on Sunday, 7th April. It is a 10am shotgun start. See details in advertisement on this page.